In Cuban cooking, mojo refers to a sauce made with olive oil, garlic, and typically sour orange juice (also called bitter orange juice). Roasting pork in this simple blend of ingredients results in an unctuous dish that packs an amazing punch of flavor. While this ubiquitous Cuban dish is typically made with a fattier pork shoulder (also known as pernil), Chef Ronaldo Linares uses a lower in fat tenderloin, making this dish a healthier option for everyone. 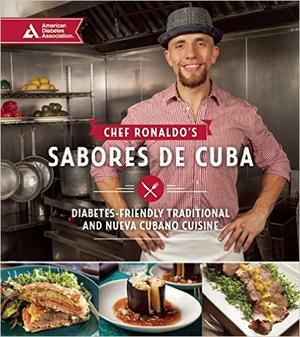 This recipe is one of nearly 100 in Chef Linares’ new cookbook Chef Ronaldo's Sabores de Cuba: Diabetes-Friendly Traditional and Nueva Cubano Cuisine. Each recipe, featured in both English and Spanish, will tantalize the taste buds of everyone at the table, plus they meet the strict nutritional guidelines of the American Diabetes Association. Step 2. Grab your blender to make the mojo marinade. Add oranges, lemons, salt, pepper, cumin, garlic powder, vinegar, and fresh thyme leaves into the blender. Pulsate the mixture 4 times, then purée for 1 minute. Set aside 4 ounces mojo and add the rest to a resealable plastic bag. Step 3. Remove the silver skin from the pork tenderloin. Add pork tenderloin to the resealable plastic bag with the mojo. Marinate pork for at least 20 minutes in the fridge. Step 4. Remove the pork tenderloin from the bag (discarding the marinade in the bag) and pat dry with a paper towel. Preheat an ovenproof sauté pan over medium heat, spray with nonstick cooking spray, and wait 10 seconds for oil to come up to temperature. 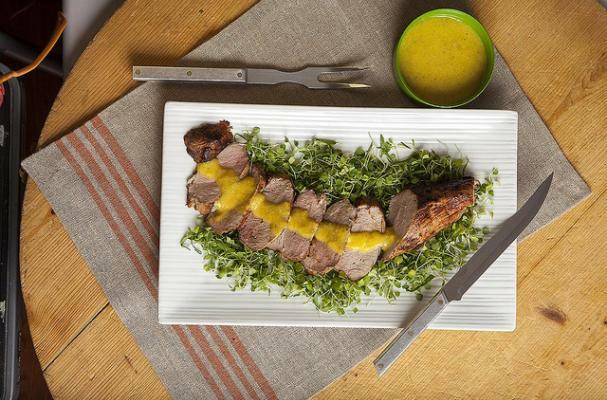 Brown both sides of pork tenderloin in the pan, then place pan in the oven for 15–20 minutes. Internal temperature of cooked pork should read 145°F. Step 5. Remove pork from oven and let it rest for a few minutes so juices redistribute. Drizzle some of the reserved mojo marinade on the pork, and serve. Photography: Kelly Campbell Photography. Reprinted with permission from The American Diabetes Association.